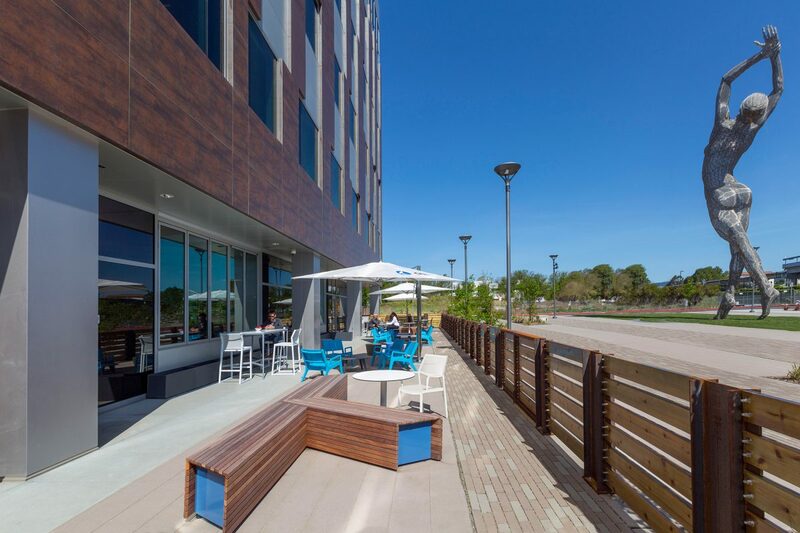 A transit-oriented Tech campus in a city on the brink of change. 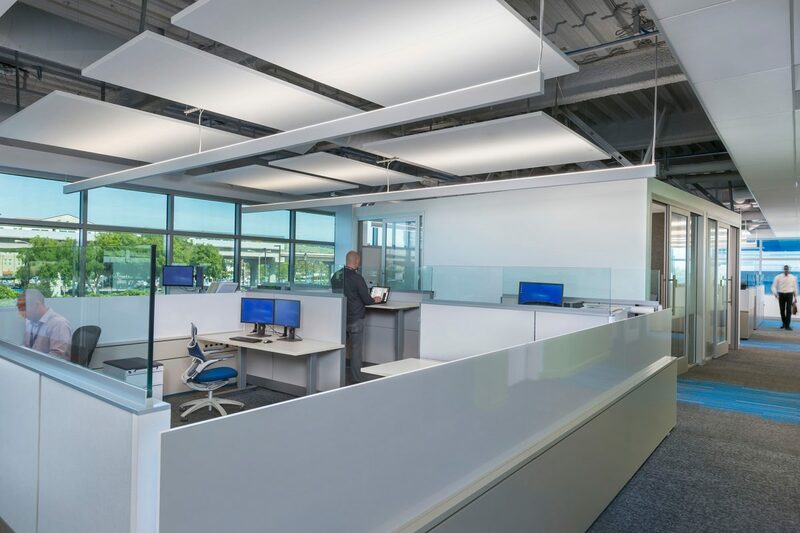 Beyond Truth is Beauty stands the 135,000-sf Phase 1 building of a 5-building master planned hub of smart building technology. 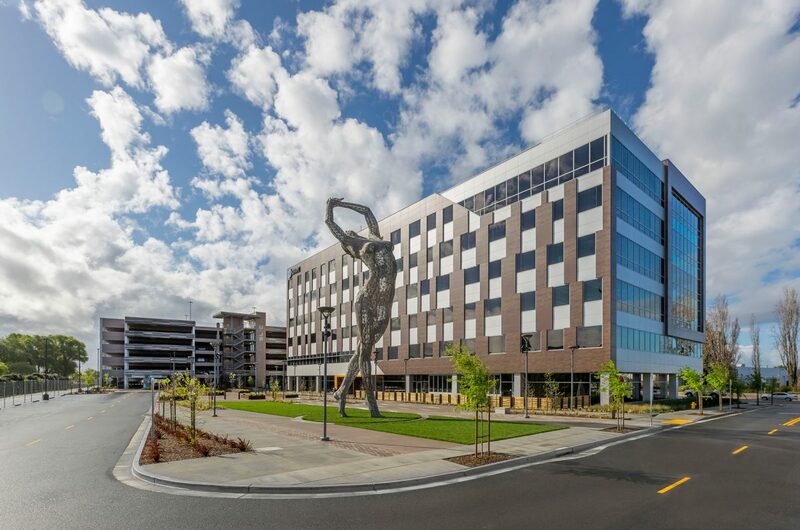 A project by Westlake Urban Developers, in partnership with OSIsoft, the state-of-the-art 100 gigabits per second San Leandro Tech Campus buildings will not only embrace the city’s history, but celebrate it’s current shift to the promising Bay Area technology place. 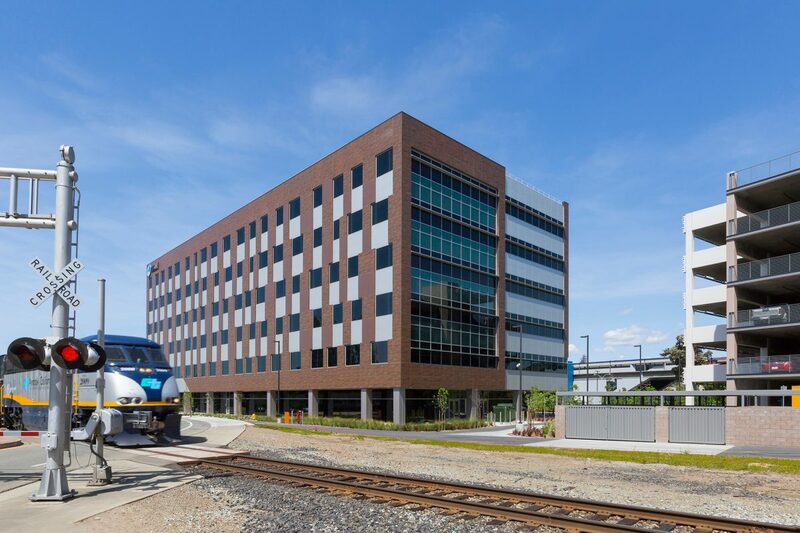 Epitomizing the notion of a transit-oriented campus, the six-story OSIsoft Global Headquarters, and private/public parking garage, not only faces the San Leandro BART Station with a pedestrian public paseo crossing the site for access to BART. It also boasts both exterior bike parking and interior bike storage. 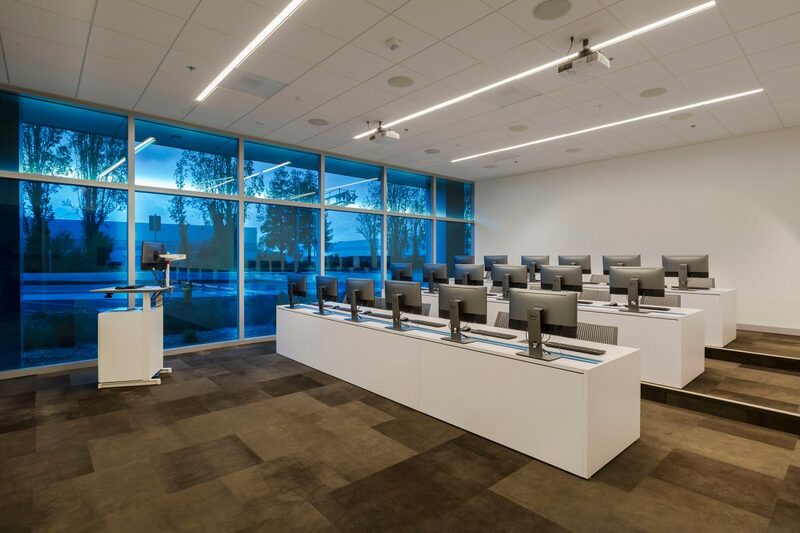 The campus location prioritizes acoustics as a primary driver of design for the current and future buildings, resulting in innovative solutions to manage decibel levels from Amtrak horns and BART brakes. Other external technologies include the Neolith façade and thicker laminated View Glass to support limiting heat gain and reduce the HVAC system loads. 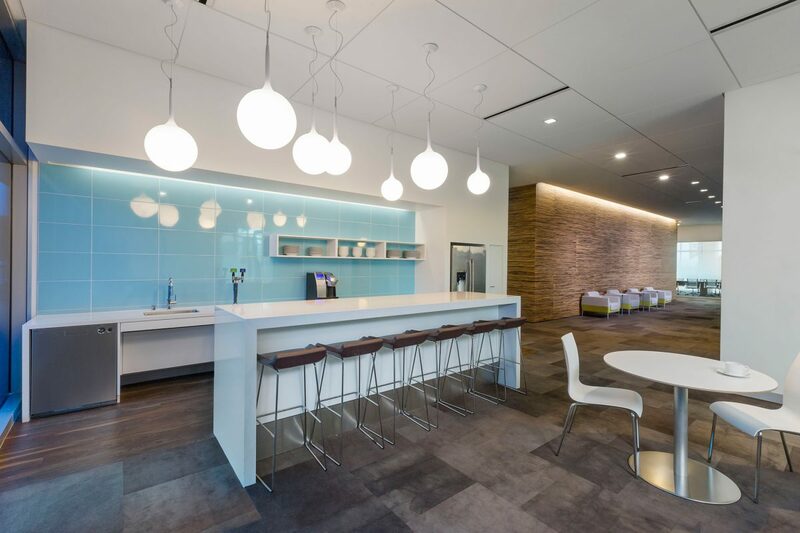 OSIsoft’s interior encourages knowledge sharing and engagement by focusing on collaboration, concentration, flexibility, and technology. 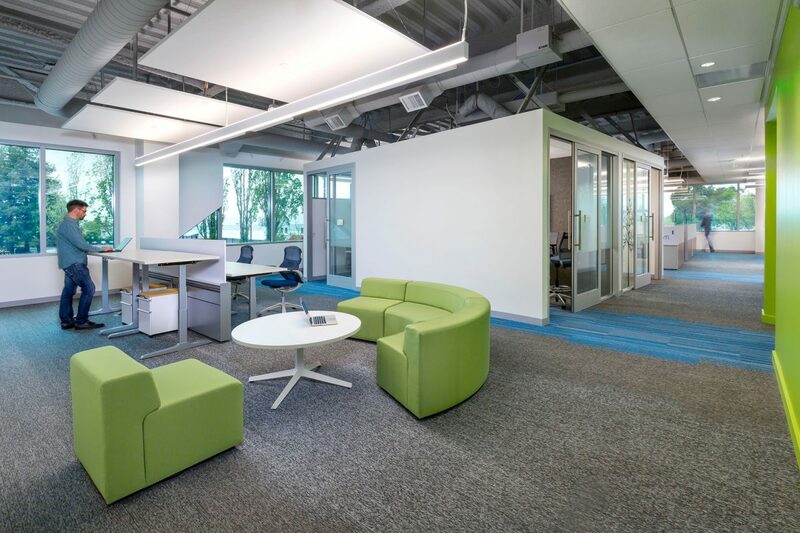 The ecosystem of meeting spaces and carefully sized open office neighborhoods feature access to views, highlighted by open ceilings and sound dampening clouds that also bounce light indirectly into the workspaces. 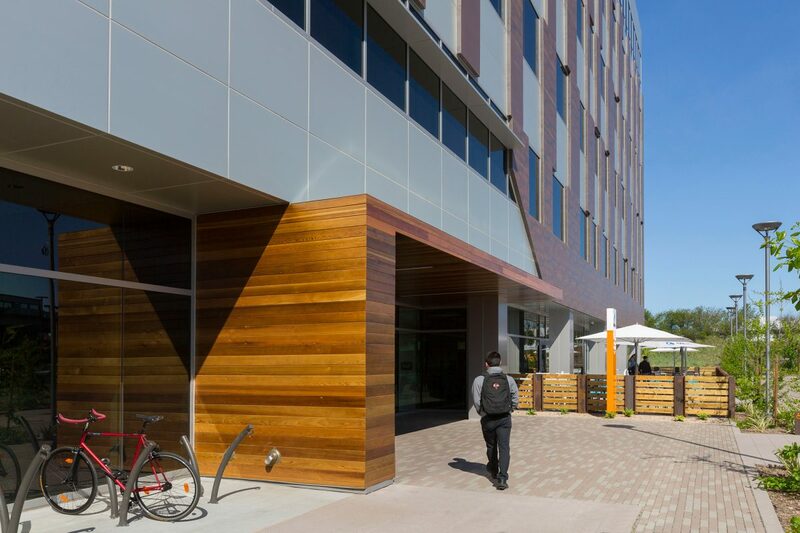 At its entry, an exterior-interior wood armature leads through the tailored lobby to numerous first-floor common spaces including a 50 seat café. 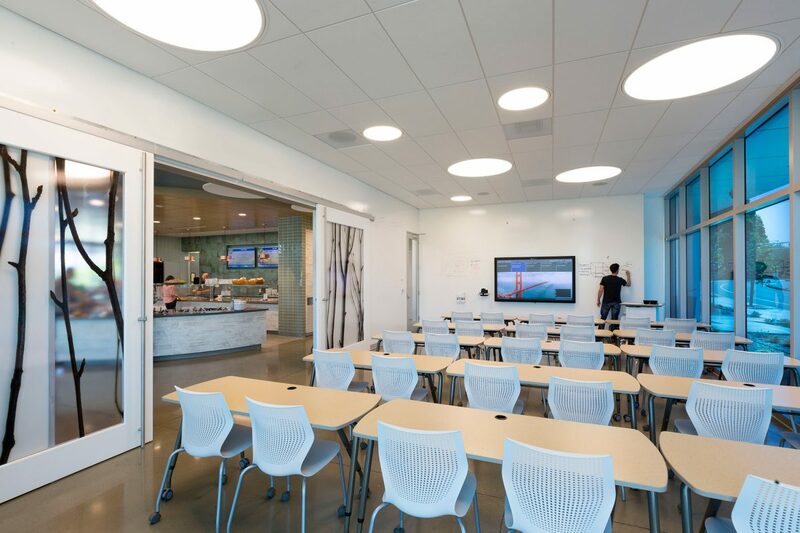 The multifunctional, expandable 30 person training room opens to the café’s picnic tables, booths, indoor-outdoor seating, and coffee bar. 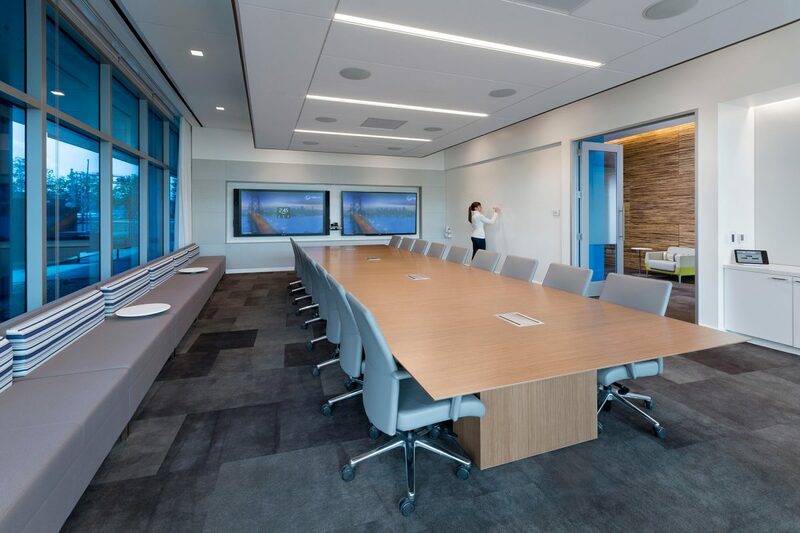 In the neighboring Executive Briefing Center, conference rooms, lounge spaces, phone rooms, casual collaboration areas, a break room, and two fully equipped 18-seat computer training centers complete the robust selection of business amenities for employees and guests. 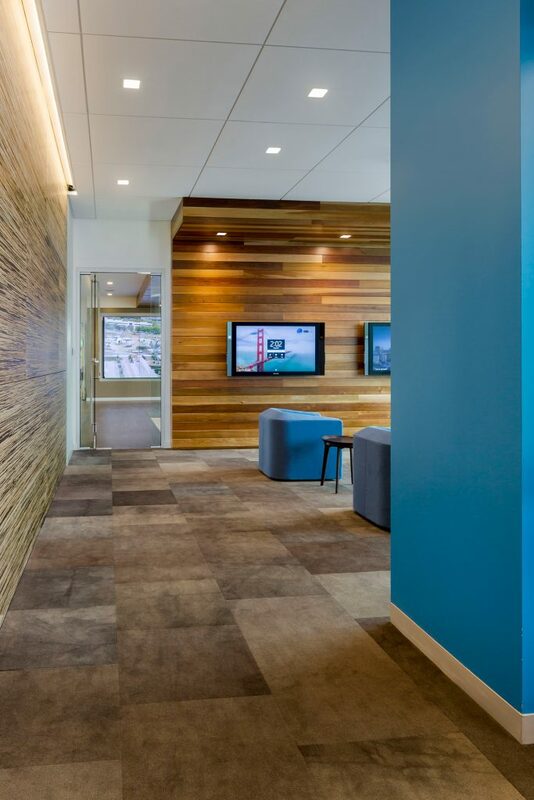 For the building’s executive floor, the client favored a uniquely egalitarian approach – the center of the building – to reinforce the understanding of accessibility. 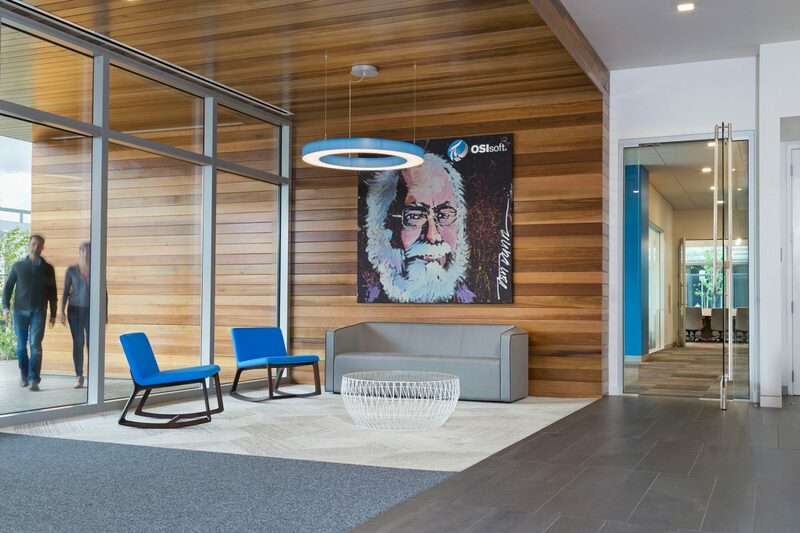 OSIsoft also opted for open executive offices to nurture the culture of serendipitous communication among the company’s leaders. 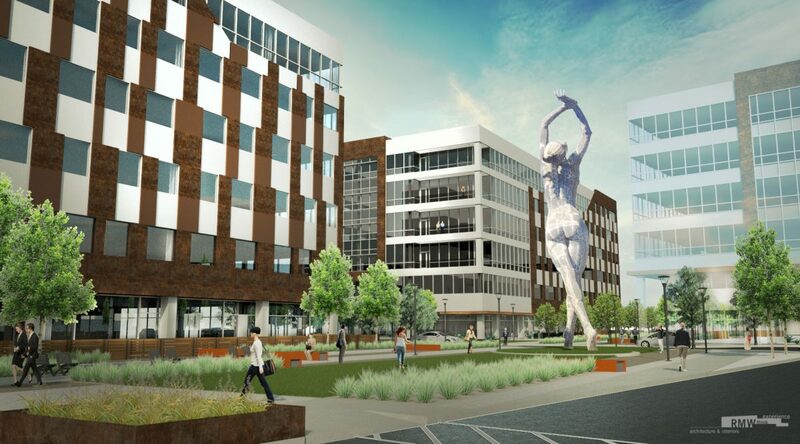 Groundbreaking for SLTC Phase 2 took place on May 25, 2017. 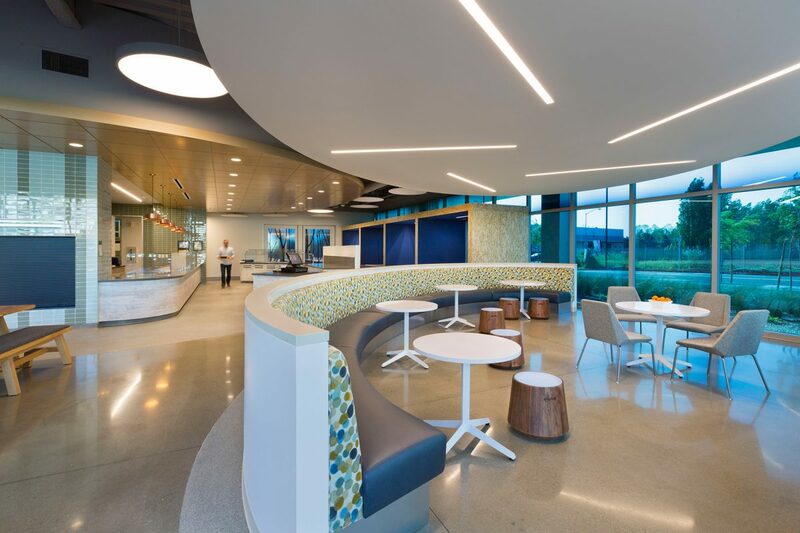 Scope included one 6-story warm core-shell office building, one 6-level parking garage, associated site improvements, and master planning for phase 2 and phase 3 (future office buildings). 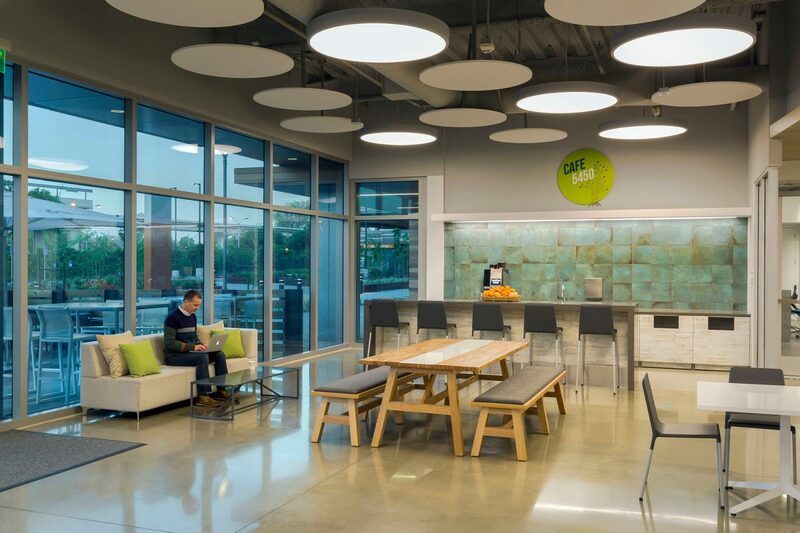 Energy efficiency measures include electrochromic glass, thermally broken window frames and continuous, uninterrupted 3” rigid insulation on interior side of walls (typical insulation elsewhere) resulting in 18% better energy performance than code minimum. 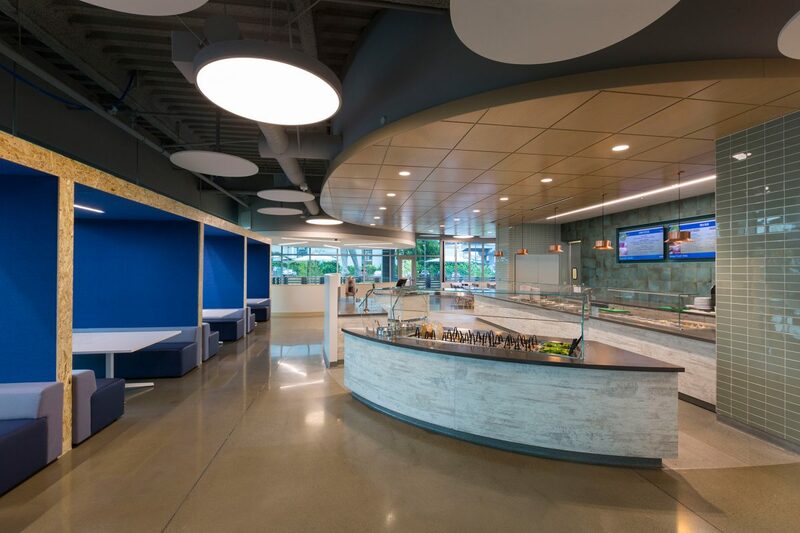 Other sustainable building measures include high-efficiency toilets (1.28 gpf) and urinals (0.125 gpf), auto-sensor faucets, showers and changing rooms. 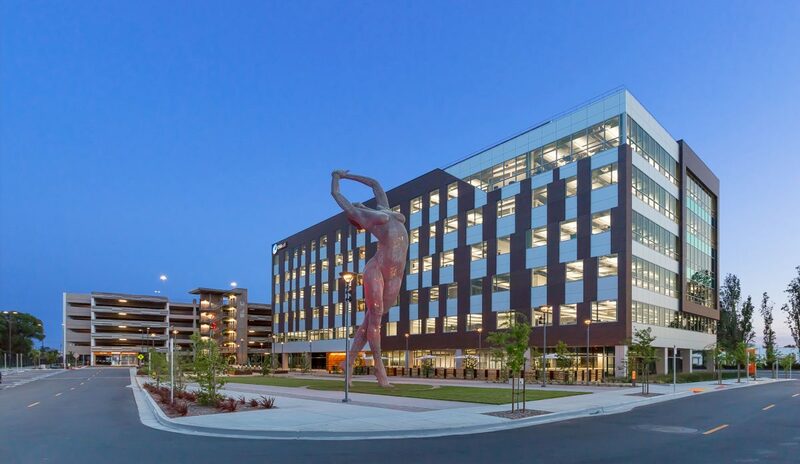 Also LED lighting throughout interior and exterior areas of the site and garage along with FSC-certified wood, permeable pavers, bioswales on site for water retention and infiltration, drought-tolerant plant material, and EV parking. 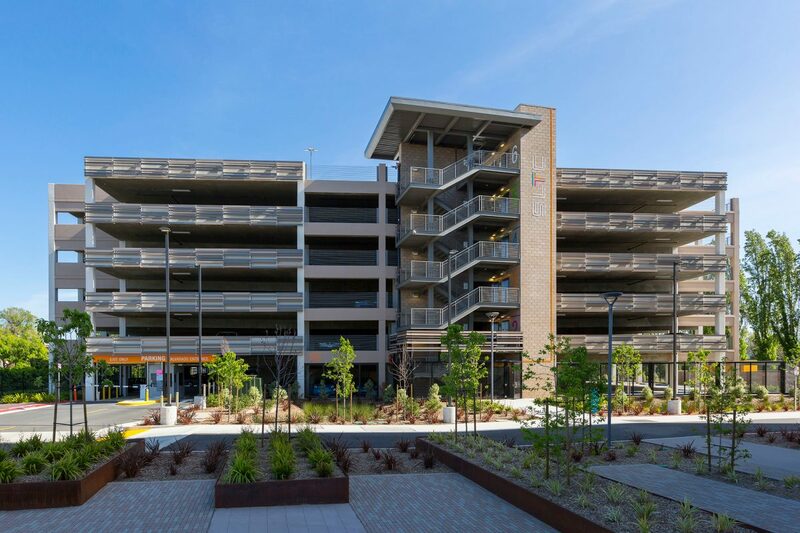 The site is also adjacent to the San Leandro BART station providing great public transportation access.